Are you an Indonesian writer? We'd like to include you! As of now, our resource library consists of approximately 500 writers, 600 books by 176 publishers, 484 contributing authors, 694 (258 coverages, 163 clippings, and 273 reviews) articles published in 234 media outlets, 54 works in translation, and 54 useful resources that we consider particularly worth noting. For short, “idwriters” is a site devoted to showcasing Indonesian writers and/or book authors, along with their publications, journals, and other literary resources in English. 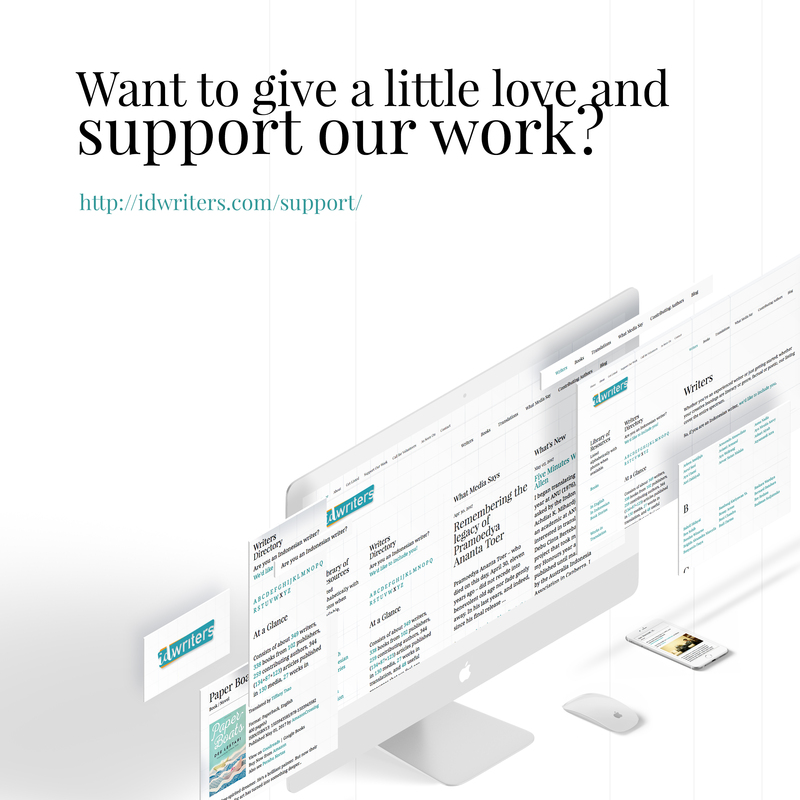 Our main feature, the writers directory, provides a way for writers to find one another, but more importantly the resources provided makes it easy for event hosts,—especially for international event hosts—, literary organizers, arts administrators, librarians, booksellers, and readers to get in touch with writers. We built this site because we noticed the lack of resources dedicated to Indonesian literature, especially one that is accessible to the international community. Questions, comments, articles, infos, etc. are more than welcome. Just send us an e-mail, mention us on Twitter or use the contact form. Listed alphabetically with photos when available.